Wi-Fi 6 was a frequently discussed topic last year as the Wi-Fi® Alliance announced this latest classification of connectivity. Next year – 2020 – is when the new Wi-Fi standard, IEEE 802.11ax, is scheduled for release. It will bring many new benefits to users, such faster, more stable connections in high-density environments. IEEE 802.11ax is also engineered for our new connected world, where upload and download traffic are equivalent. It’s clear that this new Wi-Fi standard was designed specifically with IoT in mind. Here are a few benefits that Wi-Fi 6 classified devices will offer to organizations pursuing and deploying IoT environments. In simple terms, target wake time (TWT) – a function of Wi-Fi 6 devices – increases device sleep time (also called “low-power mode”), substantially improving the battery life of devices. TWT is a negotiated agreement between a wireless access point (WAP) and a device regarding when that wireless access point will “ask” the device for information. These negotiated agreements are used to specify scheduled wake times for individual devices and/or groups of devices. Depending on the type of device, the new Wi-Fi standard could let devices sleep for hours at a time to conserve and extend battery life. Wi-Fi 6 devices will transmit more data to more devices than previous wireless standards. Offering up to a four-fold capacity increase over its 802.11ac predecessor, 802.11ax allows multiple wireless access points to be deployed in device-dense environments. With this new standard, they can collectively deliver required quality of service (or QoS, the capability of the network to provide better service to selected network traffic) to more devices of all kinds. OFDMA (orthogonal frequency-division multiple access) technology allows multiple devices to receive more consistent attention at one time. This moves Wi-Fi from a “contention-based” protocol (where many users to use the same channel without pre-coordination) to a “scheduled-based” protocol to stabilize wireless performance, especially in high-density environments like stadiums, arenas, airports and convention centers. Because OFDMA divides the 802.11ax channel into hundreds of sub-channels, WAPs can transmit to multiple devices simultaneously by distributing these sub-channels among different devices. Previously, WAPs could only transmit to one device at a time. With this new Wi-Fi standard, WAPs on the same channel can even handle simultaneous transmissions through Basic Service Set (BSS) Color. This also gives each WAP the ability to add a specific color to its transmitting channels to help devices distinguish which transmissions are coming from where (and helping devices “ignore” transmissions coming from other nearby WAPs). IEEE 802.11ax features more efficient data encoding, which results in higher throughput. This new Wi-Fi standard will offer a 25% data rate increase. With more than 20.4 billion connected devices predicted to make up the IoT by 2022, higher data throughput ensures constant uptime and connectivity in high-density locations. It also means that applications like 4K video streaming, virtual reality and augmented reality will be supported on wireless devices without delays or buffering. With IEEE 802.11ax will also come increased use of modular plug terminated link (MPTL) topology, which was approved by TIA in 2018. 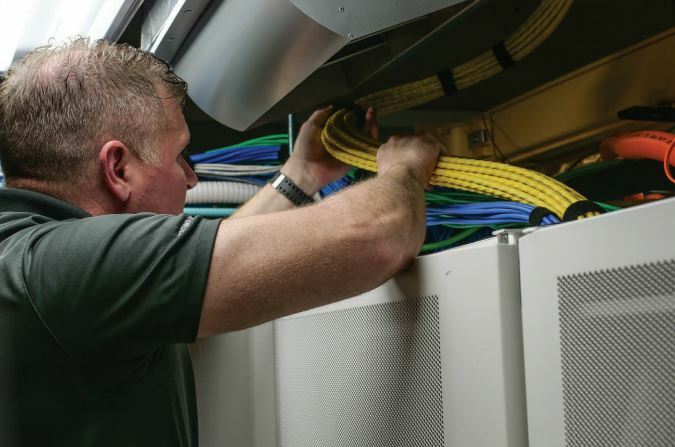 This configuration saves time and money by allowing a cable from a patch panel to supply data and power directly to a wireless access point without additional connections in between. If MPTL is the installation method you choose to use when deploying IoT devices, Belden’s new REVConnect FlexPlug makes the process even easier. Because it works with any IoT device that uses an RJ45 plug, the FlexPlug eliminates compatibility questions when connecting devices. It offers unparalleled flexibility in form and application, making fast and easy connectivity possible in small, tight spaces with tight bend-radius requirements – even in applications where a typical angled plug couldn’t be used due to plug size or cable routing constraints. It also eliminates the need for a jack, biscuit box and patch cord for fast installation with fewer components and lower material costs. Next Post The Hummingbird Project … A Film Starring Belden Fiber! Ron joined Belden in 2016 to help define the roadmap of technology and applications in the enterprise. 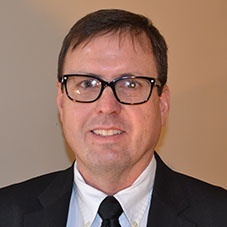 Prior to this, he developed cables and connectivity for Panduit and Andrew Corp. Ron Tellas is a subject-matter expert in RF design and Electromagnetic Propagation. He represents Belden in the ISO WG3 committee, TIA TR42 Premises Cabling Standards and IEEE 802.3 Ethernet Working Group. Ron is the inventor of 16 US patents. He has a Bachelor of Science degree in Electrical Engineering from Purdue University, a Master of Science degree in Electrical Engineering from Illinois Institute of Technology, and a Master of Business Administration from Purdue University.